This summer  Apple held a contest to promote their iTunes Music Store. 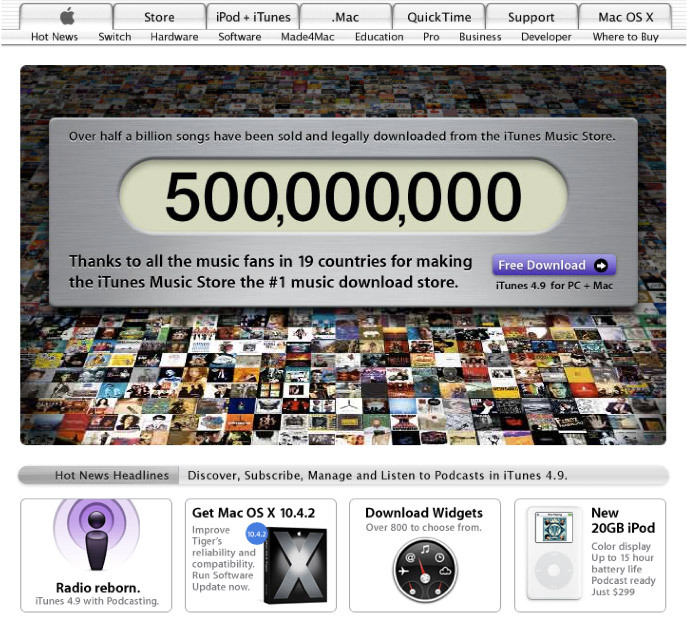 In just over two years, iTunes had grown from a Mac music organizing and playing package to a series of stores around the world to a (nearly identical) Windows software package. 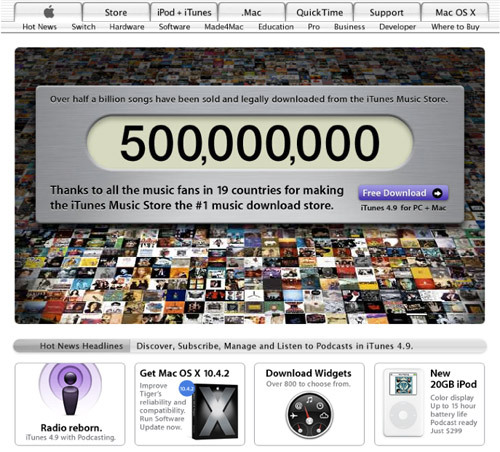 Along the way, Apple announced the purchase and download of half a billion songs, and on July 18, 2005, they announced that a woman in Lafayette, Indiana, had won ten iPods for family and friends, a gift card for 10,000 songs, and a paid trip for four to see a rock concert. 500 million songs is almost 4,300 years of continuous music. A great many analysts and computer industry leaders have called the iPod and the iTunes Music Store a “fad.” It may be, but few fads create such profound changes in so many industries -- computer, software, music, music appliances -- in such a short period of time.